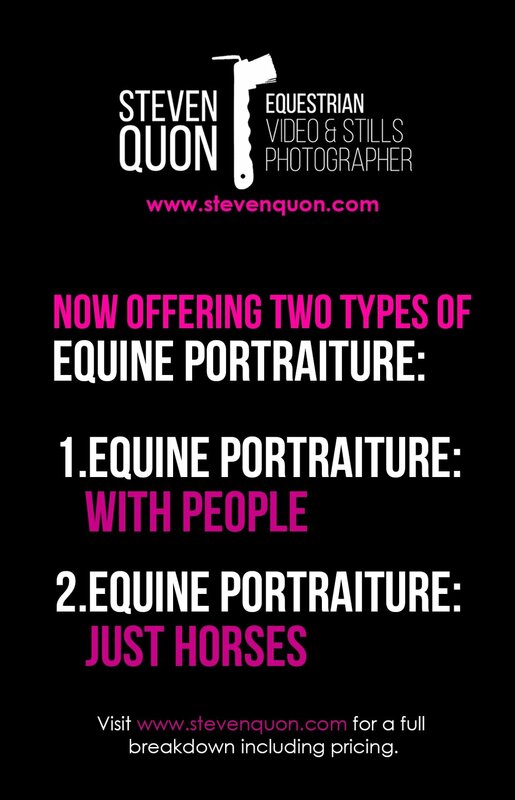 MY EQUINE PORTRAITURE SERVICE HAS EXPANDED! Not everyone wants to be in the photos, some people are wanting photos of just their horse(s), whether it's portrait, them running, playing, in the herd, or just being a horse. Photos for them to either share with friends and family or print and frame them to be hung in their homes, barns, etc. Prices for the two remain the exact same. Please visit www.stevenquon.com for a full breakdown including pricing. As the weather becomes warmer and Spring comes closer, expect to see me a lot more out in the fields just shooting horses.